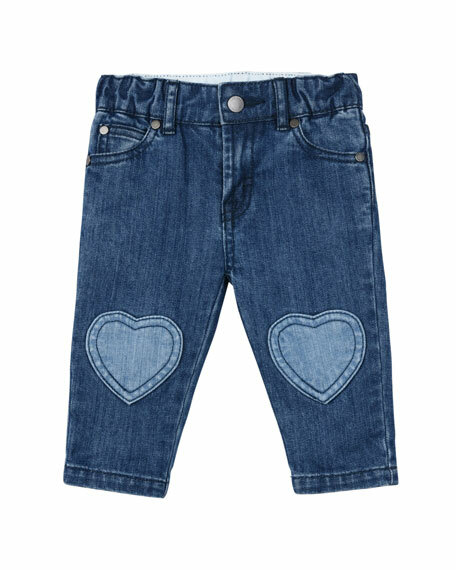 Stella McCartney Kids denim pants with contrast heart knee patch. 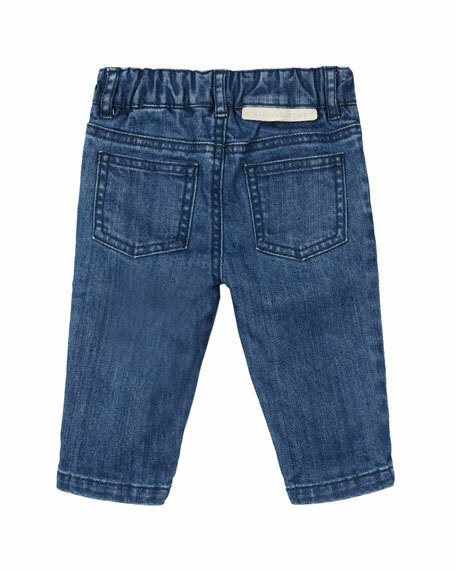 For in-store inquiries, use sku #2711015. 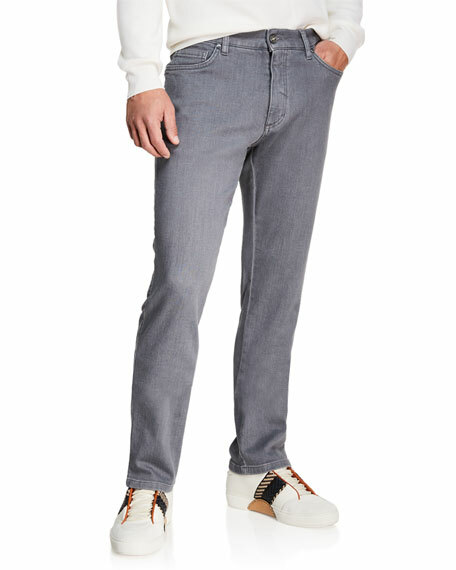 Belstaff "Tattenhall" denim jeans in washed denim. 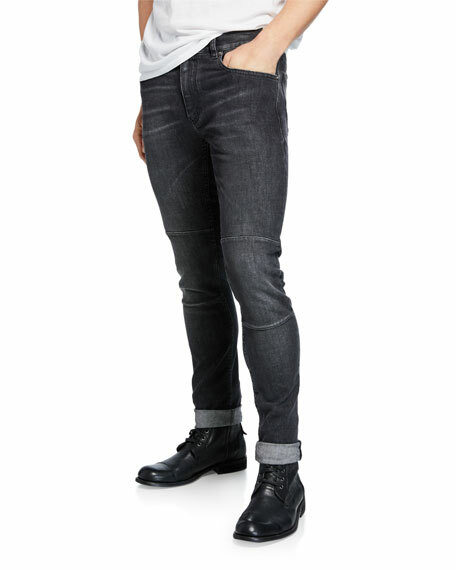 Five-pocket style; leather logo patch at back waist. 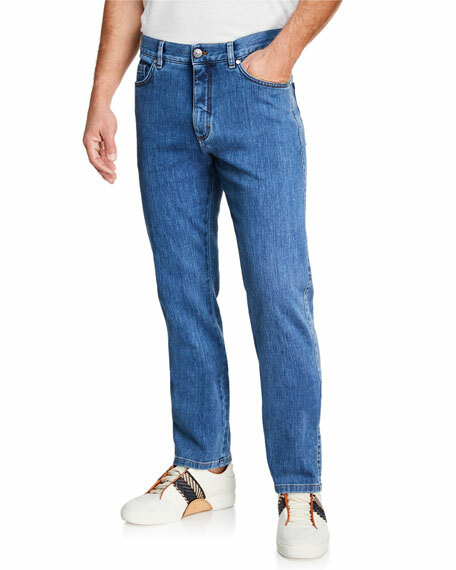 Moto-style seam details. Slim, straight legs. Button/zip fly; belt loops. Cotton/polyester/spandex. Made in Romania.